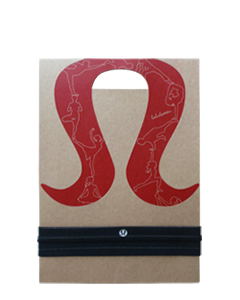 Lululemon gift packs aim to wrap smartly and with conscience. 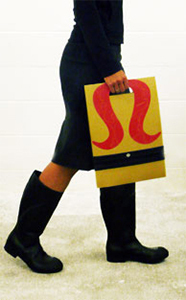 The concept proactively reduces waste during the holidays: no need for tissue paper, note cards, or shopping bags. 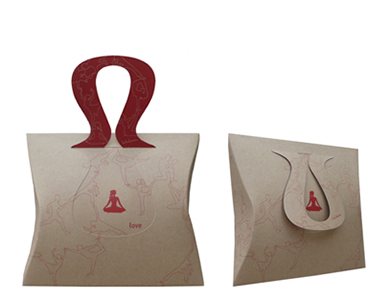 The tailored, all-integrated gift packs are made of 100% recycled material and printed with soy inks. 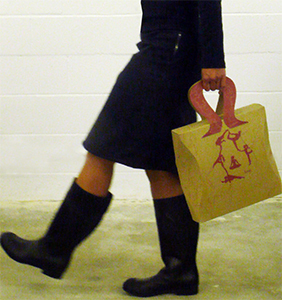 Print Magazine’s Creativity & Commerce International Design Review Selection Award (Holiday Gift Packaging), 2009.